Opting For A Sundarban Tour Package? Know 7 Facts About The Place! Don’t you think that a boat ride through the salty water, amidst the dense mangrove forests can be the ideal adventure? Can anything be more thrilling and better than exploring a place by a boat safari? Trust us; all you need to do at this hour is opt for a Sundarban tour package! Be it the meandering rivers or spotting the majestic Royal Bengal Tiger, a trip to Sundarban can be the ultimate wildlife tour you have always craved for. A cluster of several low-lying islands, it is every traveller’s delight. From exploring the lush green mangrove forests to catching glimpses of numerous wild animals, a trip to the world’s largest active delta can be a breathtaking experience altogether! Still wondering what makes this region so popular among travellers all over the world? Then read on to find your answers! Did you know that Sundarbans form to be the largest active deltaic forest in the world? Formed by the amalgamation of rivers- Brahmaputra and Ganga, the place is spread out in an area of almost 1330 square kilometres in India. Regarded as the green delta, it has been declared as the UNESCO World Heritage Site. 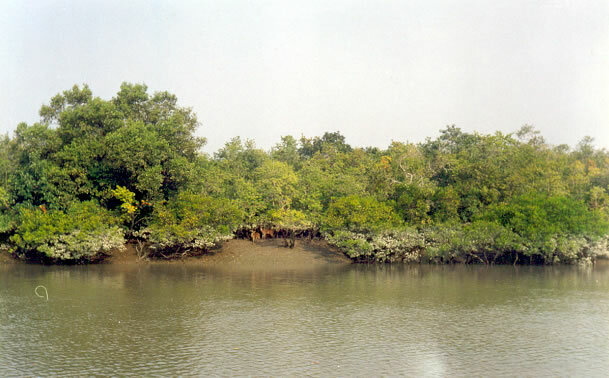 The Sundarban National Park boasts of the largest mangrove forests in the world. Due to its salty waters, the place is renowned for the productive growth of littoral mangrove vegetation. These dense forests are one of the most popular reasons why more and more are visiting Sundarbans these days. Were you under the impression that conglomeration of islands means a cluster of six, seven or ten islands? Well, this Brahmaputra- Ganga delta comprises of 54 low-lying islands. Don’t you think this alone can be the reason for visiting Sundarban at the earliest? The best part about opting for a Sundarban tour package from Kolkata is catching the glimpse of the majestic Royal Bengal Tiger. A visit to the Sajnekhali watch tower can be your ideal way to spot the fiery Royal Bengal Tiger along with other wild animals like deer, boars, etc. What’s more, the Sundarban Tiger Reserve is acknowledged for being home to the largest number of tigers. Famous for its marine fisheries and salt water fish production, Sundarbans is a distinctive and important natural resource endowment. The Sundarban Development Board is now conducting a Fishery project by comprising of an area of 50 hectares. For those looking for an adventurous trip, nothing can be better than a trip to this part of the world. You can get the opportunity to travel through the dense forests with wild animals amidst a wild environment. The place has its own charm of mesmerising photographers. From capturing the majestic grace of the Tigers to the incredible sight of numerous migratory birds, a photographer can captivate numerous things in beautiful frames. So what are you still waiting for? Find a reputed travel agency and book the best tour package within your affordability!